While I now know Liza a lot better and would not describe her as either of those things, she does carry a spirit that is found in both of those words: Adventure. 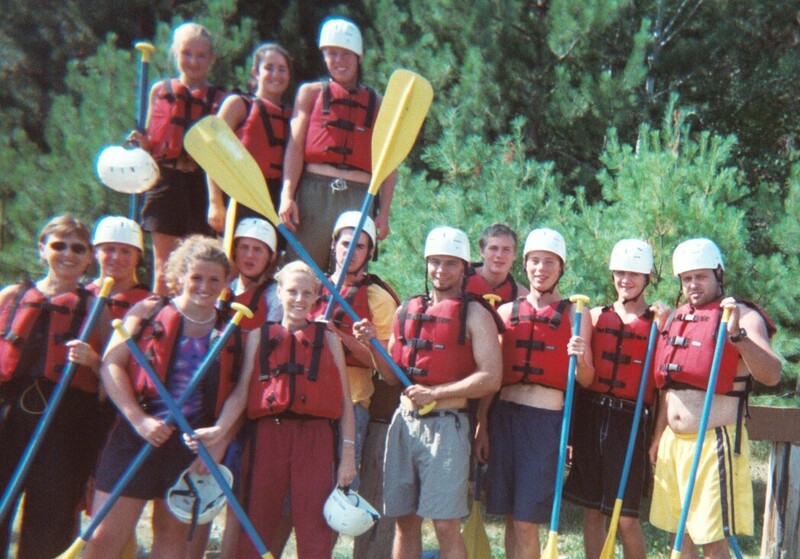 This Friday I remember a white water rafting trip in 2003 with Liza and the Grace Chapel Senior High. We went up to Maine for a day of kayaking, some not so rustic camping followed by a day of white water rafting. Adventure has always been part of my life, and I am grateful to share this life with someone who has adventure in the core of their being too. Here is to many more adventures in the years ahead.